VMworld Paul Maritz has been CEO at server virtualization juggernaut and cloud computing contender VMware for three years, and he has not forgotten – despite his long experience running divisions of Microsoft – that he got his first job at a mainframe company at the beginning of the minicomputer and PC revolutions. This was back in 1978, after he got his computer science degree. "I remember that I used to work for a company called Burroughs that no longer exists. 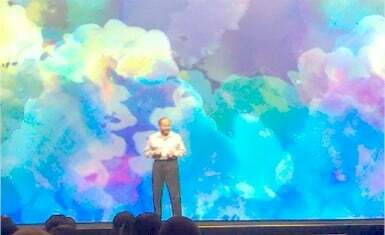 And we're going to have to be smart," Maritz said in his keynote address at the VMworld virtualization and cloud extravaganza in Las Vegas yesterday afternoon. Maritz was referring to the fact that VMware cannot afford to get cocky and rest on its laurels as it evolves from a clever workstation and server virtualization tool-maker to a complete IT stack for creating and running modern, scalable, webby applications. VMware can't stand still because the world is changing so fast, and the opportunity to make money out of this change is fleeting. This would explain why VMware is snapping up companies left and right, building infrastructure clouds (vCloud) and platform clouds (vFabric and Cloud Foundry) as well as transforming the way users experience applications through its View virtual desktop infrastructure, ThinApp application virtualization, and Horizon Application Manager. The way Maritz describes it, the ties between applications and hardware are becoming more and more loose, thanks to virtualization and application frameworks. This is occurring at exactly the same time that new generations of end users – numbering in the billions and referred to as "the Facebook generation" by Maritz – are becoming less interested in the kinds of applications that automate paperwork. So the companies which figure out how to create business applications that take in streams of data in real-time, and in small digestible chunks, are going to be the winners in the future. And VMware wants to enable these applications. "When the canonical applications change, that is when you get really profound changes in IT," explained Maritz. "It is not going to be sufficient to gather up data, let it lie fallow, and run reports on it to see what happened." But before companies can get to these modern applications based on HTML5 and frameworks for Java, PHP, and Ruby, they have to virtualize their Windows and Linux workloads to create operational efficiencies that will free up the cash to invest in developing those futuristic apps. And for the moment, this is a very good business for VMware. Worldwide, there are more than 1 million virtual machines running, and most of them are riding on top of an ESXi or ESX Server hypervisor on an x64-based server. 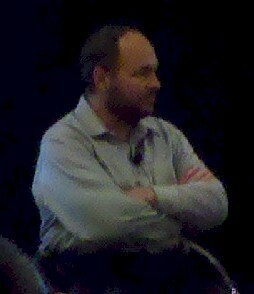 A new VM is "born" every six seconds, said Maritz, and there are 5.5 vMotion live migrations every second globally. "There are already more VMs in flight than there are aircraft in flight." There are also close to 1 million VMware administrators in the world, with over 68,000 how having gone through official VMware certification. This is not just a good business for VMware, but a job it can count on. Maritz is particularly proud of the fact that in the past three years – and in the wake of a particularly embarrassing patch that made its VMs lock up – VMware has been able to deliver new releases of its vSphere server virtualization stack on time. "It's an enormous achievement," Maritz said. He added that vSphere 5.0, launched in July and shipping last week just ahead of the VMworld event, took 1 million man-hours of programming effort to add its 200 new features. It also took another 2 million man-hours of quality assurance testing to certify vSphere 5.0 running on more than 2,000 different hardware and software products from partners. In his long history of managing big software projects, Maritz said that this is the first major piece of system software that came in on time and with the planned features delivered. "I feel like I can die now," Maritz said with a laugh. "I've seen it done in my lifetime." What VMware ultimately wants – and what it thinks it can charge for – is for its virtualization and cloud software to be treated as hardware was in days gone by. "It has to just work," as Maritz put it. And it has to command the kind of premiums that hardware once did. That is the best reason to believe that VMware will not open-source its ESXi hypervisor, its vSphere add-ons, and its vCloud automation software. The latter delivers operational efficiencies in running virtual servers which complement the hardware efficiencies that come from virtualization. The other reason to believe this is that the modern programmer doesn't give much of a damn about hardware – virtual or physical. Those modern applications written in HTML5, Java, PHP, and Ruby which Maritz is dreaming about are a revolutionary reaction to the difficulty of programming and scaling Java, C, or COBOL applications in the past. "These applications are going to be written – and I am sad to say for myself – that they are going to be written by people under the age of 35," said Maritz. These people are not going to read an Enterprise Java Bean bible any more than a Unix C programmer coming out of college 15 years ago would be told they had to create a new application in COBOL and read a stack of IBM manuals. Platform clouds are a statement that programmers are sick of thinking about hardware and all the underlying software plumbing. "Developers are now willing to give up control over the infrastructure in exchange for key issues such as scaling being taken care of automatically," Maritz said. And, one might add, they can afford to do so, because hardware and systems software are relatively inexpensive these days, so developers can do this without making their companies go broke. None of this means that pricing is an easy issue for any software company, VMware included. In a question-and-answer session following the keynote, the first question asked was obviously about VMware backtracking a bit on its vRAM memory pricing scheme. It launched the pricing scheme along with vSphere 5.0 back in July – to much weeping and gnashing of teeth on the part of VMware shops.